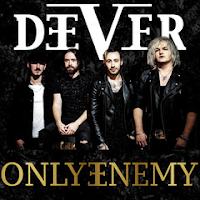 For those unfamiliar North East rockers Deever officially launched in 2017 with their debut single and music video “Fire at Will”. They released their second single ‘All Come Running’ shortly after and received regular national airplay with their latest track “Alright”. All three singles are available on all digital platforms. Deever were voted ‘Best New Band’ in 2017 by Metaltalk.net and were tipped as Planet Rock’s ‘Ones to Watch’. With a modern rock vibe that blends the band’s hard-rock, punk and metal influences, Deever are a band packed full of aggressive guitars and hooks which are armored with a very distinct British edge. All four members are from the North East of England and were brought together by ex-Inglorious guitarist Billy Taylor. For fans of: Foo Fighters, Shinedown, Royal Blood, Muse.